Since 2003 we have been recognised as specialists offering tax help to overseas contractors and employees. Our clients are often security personnel, engineers or people working in various medical fields. They are spread right across the globe including Iraq, Afghanistan, Libya. We have clients in all parts of Africa, Australia, Europe, Thailand, Azerbaijan, USA and Canada. Most clients only pay tax on income from UK sources such as pensions, savings and rents. In some cases we have been able to negotiate sizeable tax refunds from HMRC. This is most common for new clients who have been working abroad for a while. Also for those previously badly-advised! The rumour-mill abroad is dangerous. 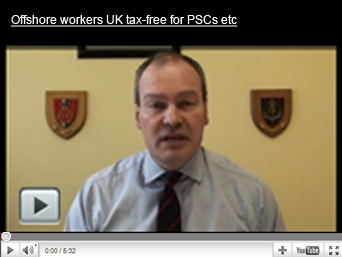 Adrian Huston often spends time telling people the right way of tax for people working abroad. This can be very different from what they were told by their mates. Often it is a lot less scary and complicated than they were told. Check out Adrian Huston’s LinkedIn profile to see his background and some of his connections. A single fee is often all that is required to handle a UK departure. It also covers doing any tax return issued by HMRC for that year. To ensure that you pay as little income tax as possible, call us now for an initial, free, chat on +44 (0)28 9080 6080.